We sat down with Dr. Sean Anderson days after the oil spill on May 19th. He’s a professor of Environmental Science at Cal State Channel Islands. 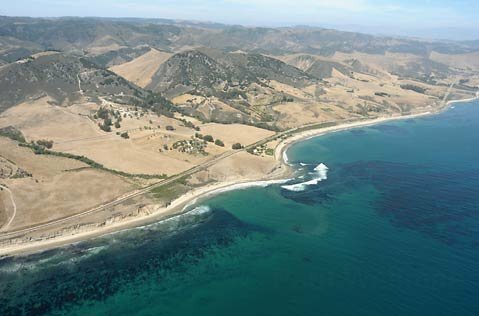 He gave us some great perspective on the recent oil spill on the Gaviota Coast compared to the massive spill in 1969, which spewed between 3-4 million gallons of oil in the Santa Barbara Channel, and what that means for oceans in the area going forward. 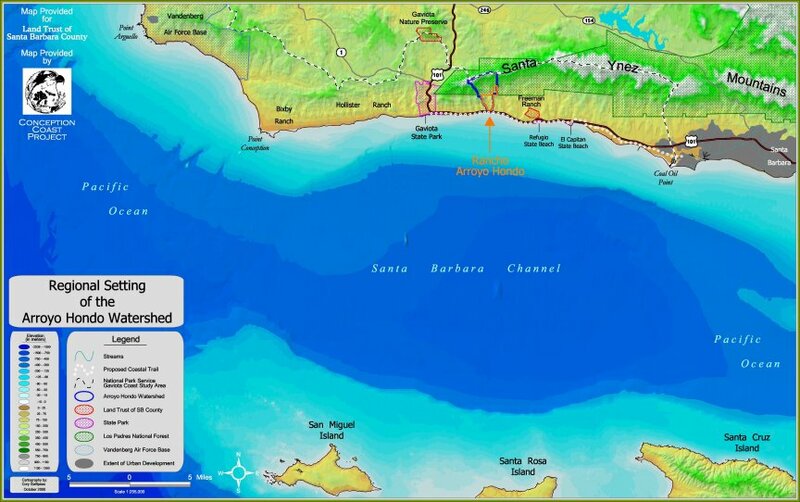 The Santa Barbara Channel which shows the Gaviota Coastline (Click to Enlarge). The spill happened off Refugio State Beach and affected nearby El Capitan Beach as well. The endangered Snowy Plover nests near Coal Oil Point. The birds have been picking up tar at the beaches in their feathers and beaks. Anderson says we have better tech today to clean up our oceans than we understandably had when the spill happened in ’69. He says during that spill, drillers had no idea that sticking what amounted to a straw into ocean would crack the ocean floor. In this case, he says it was clearly a maintenance issue by Plains All American Pipeline, who’s claimed responsibility for the spill at Refugio. He says conditions could have been a lot worse if it wasn’t for a recent anomaly. Pockets of warm ocean water in the channel has driven wildlife out of the area to colder waters.